Feel like flitting through the flowers? 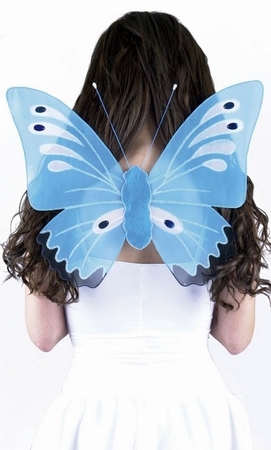 You'll need these beautiful blue semi-sheer butterfly wings with white and indigo accents, attached antennae, and comfortable elastic straps to attach them securely to your shoulders. One size fits most adults and children.